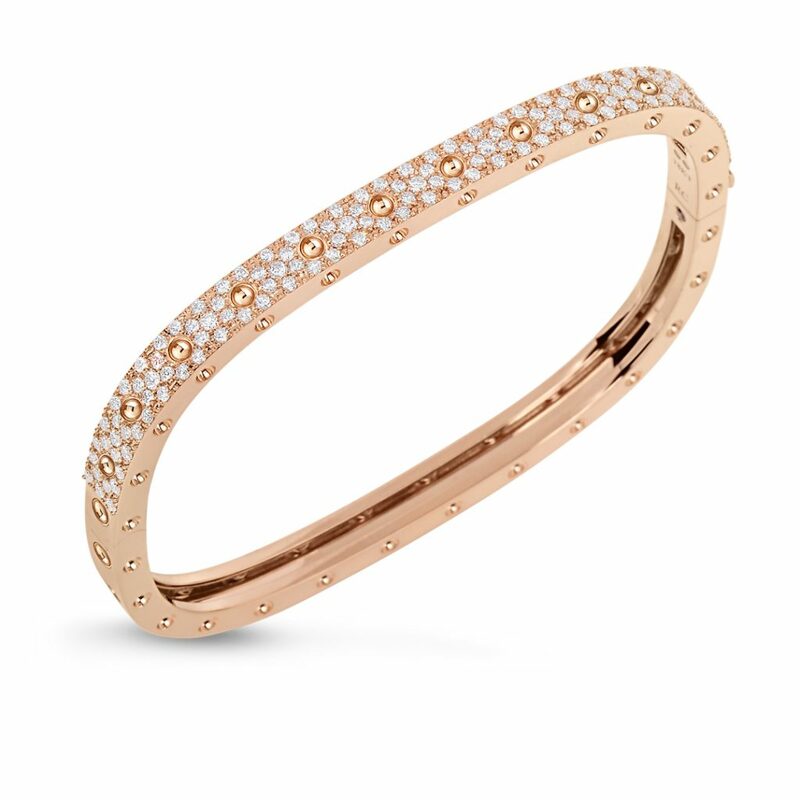 The 1 Row Bangle from the Roberto Coin New Barocco collection, style number 7771047AYBA0. 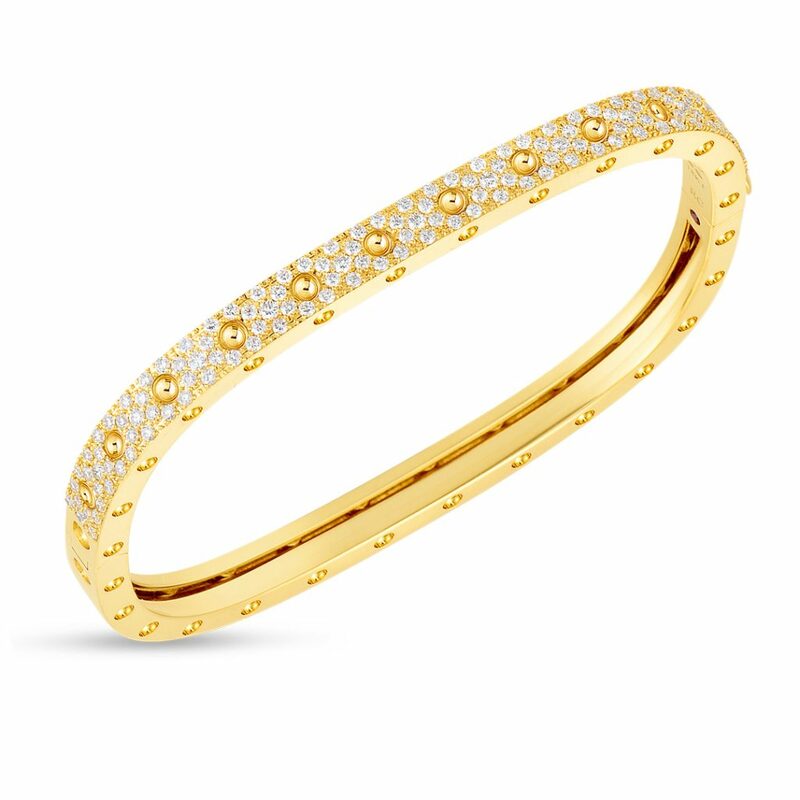 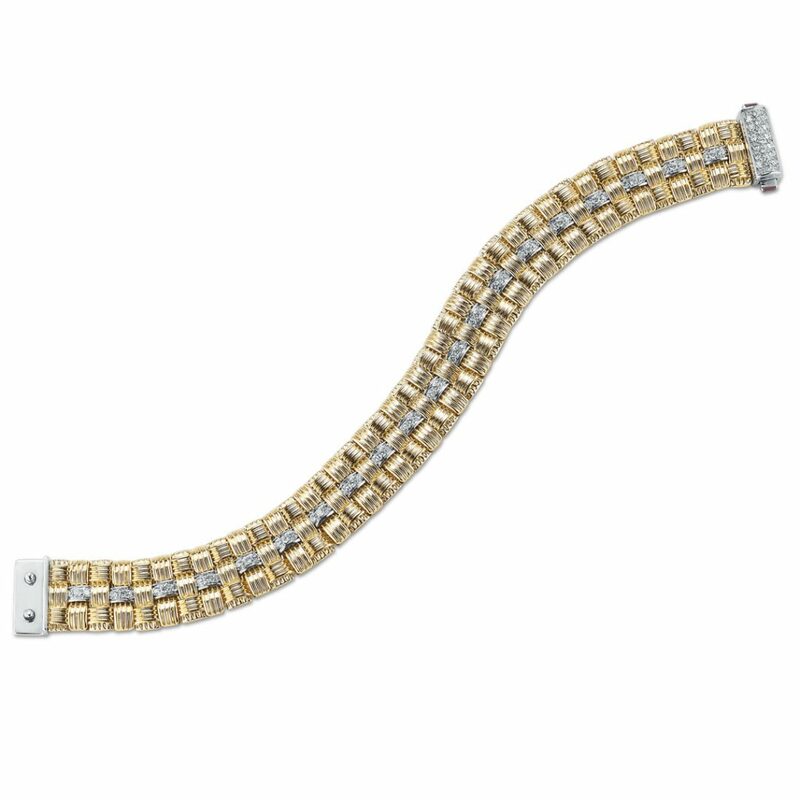 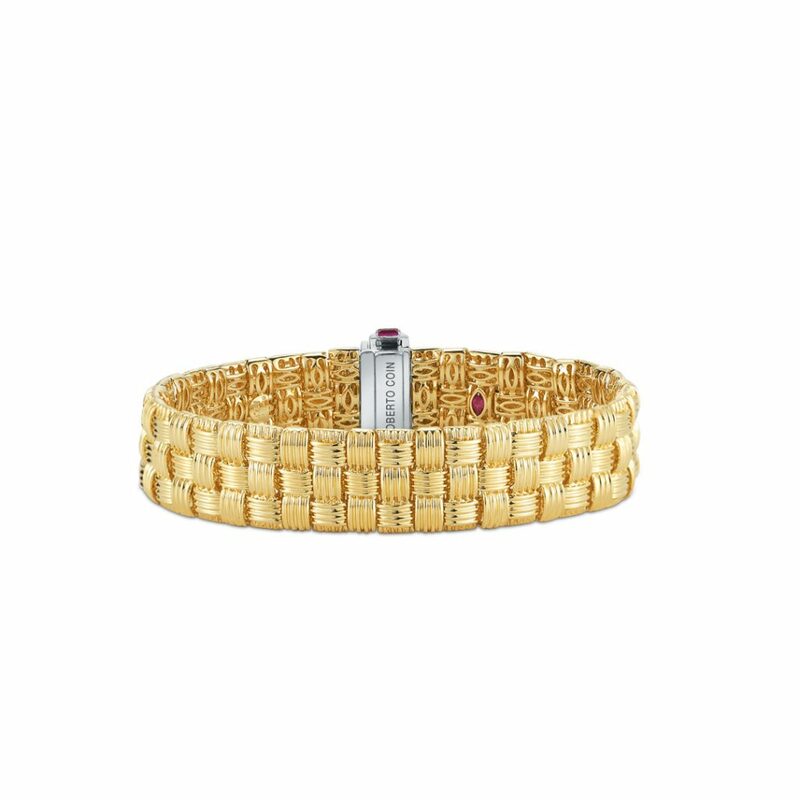 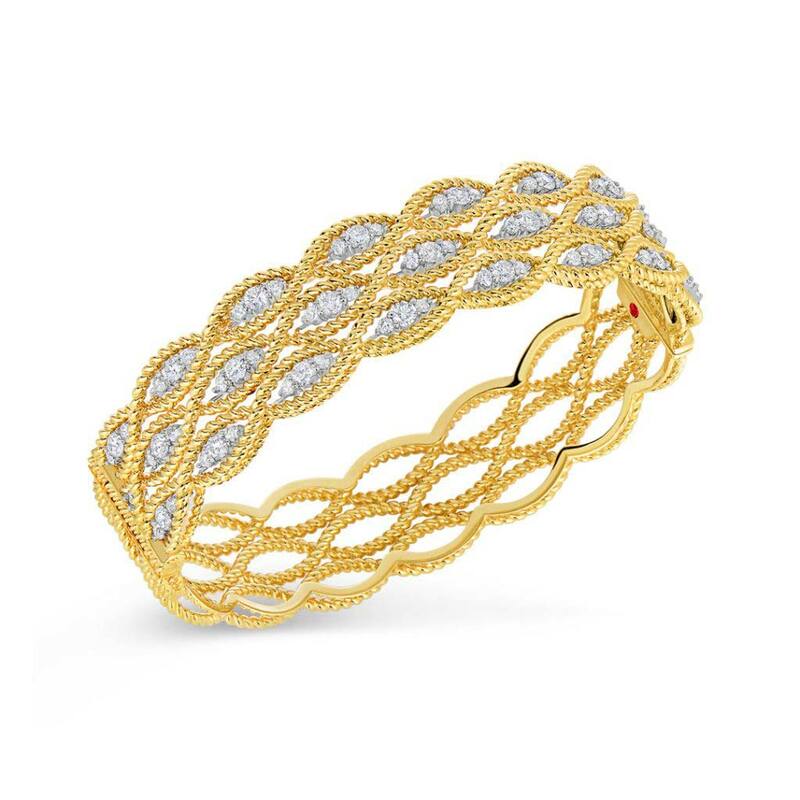 Set in 18k Yellow Gold this stunning Bangle will make your friends’ wrists envious. 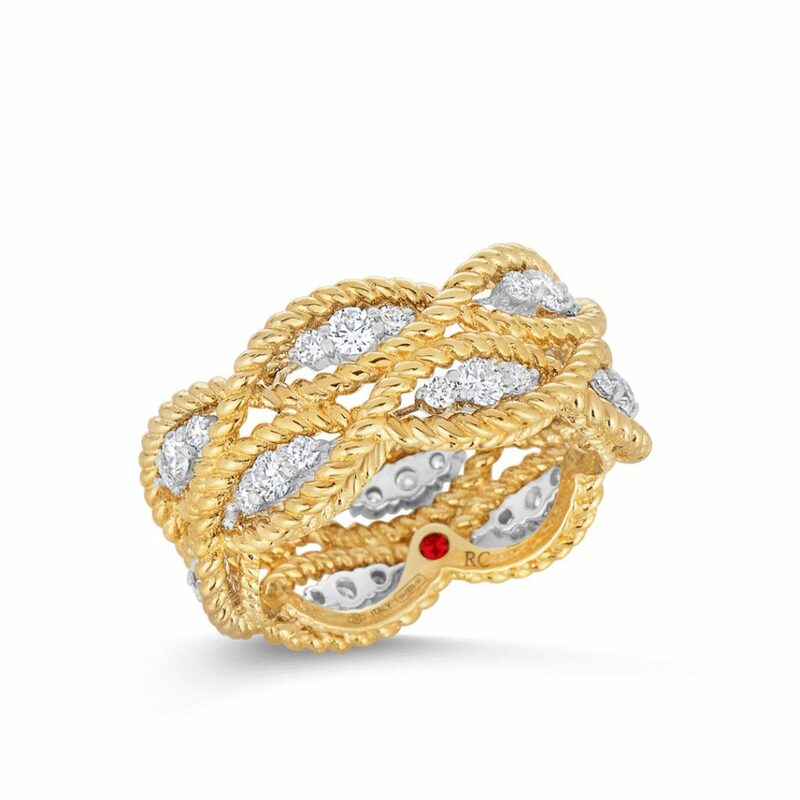 The 1 Row Ring from the Roberto Coin New Barocco collection, style number 7771047AY650. 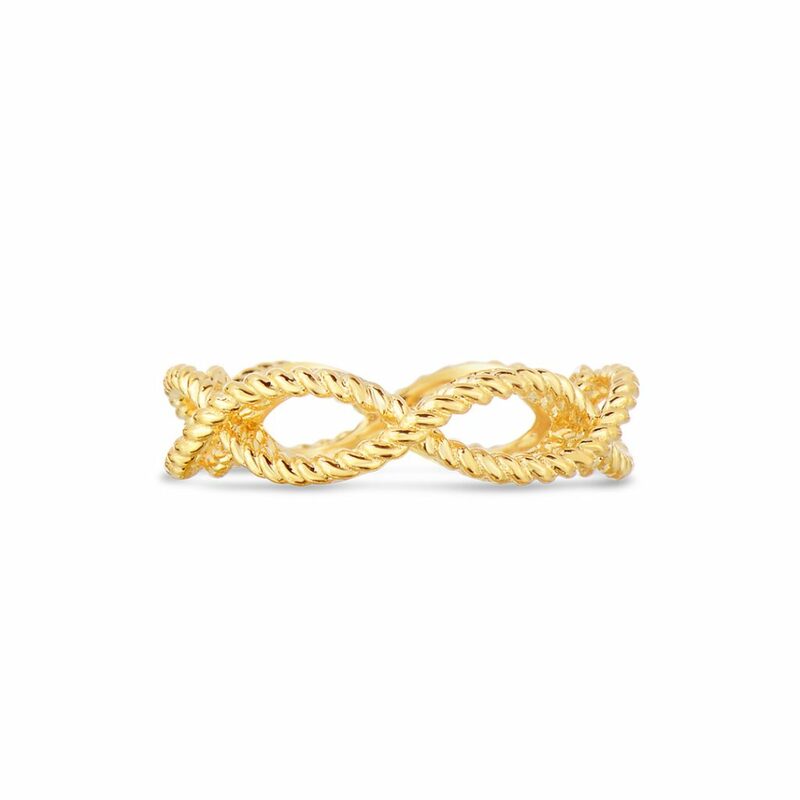 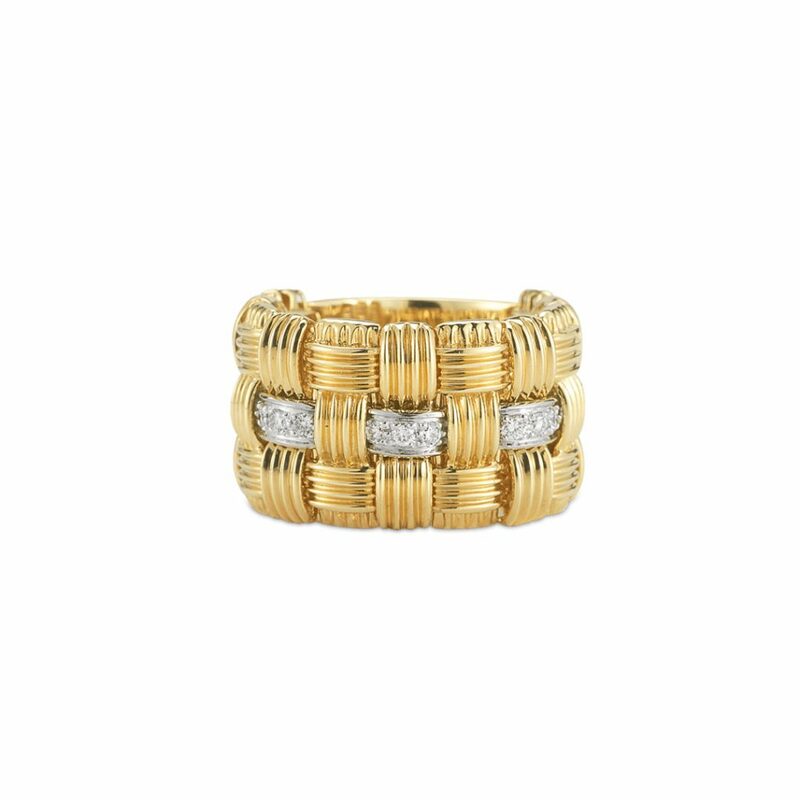 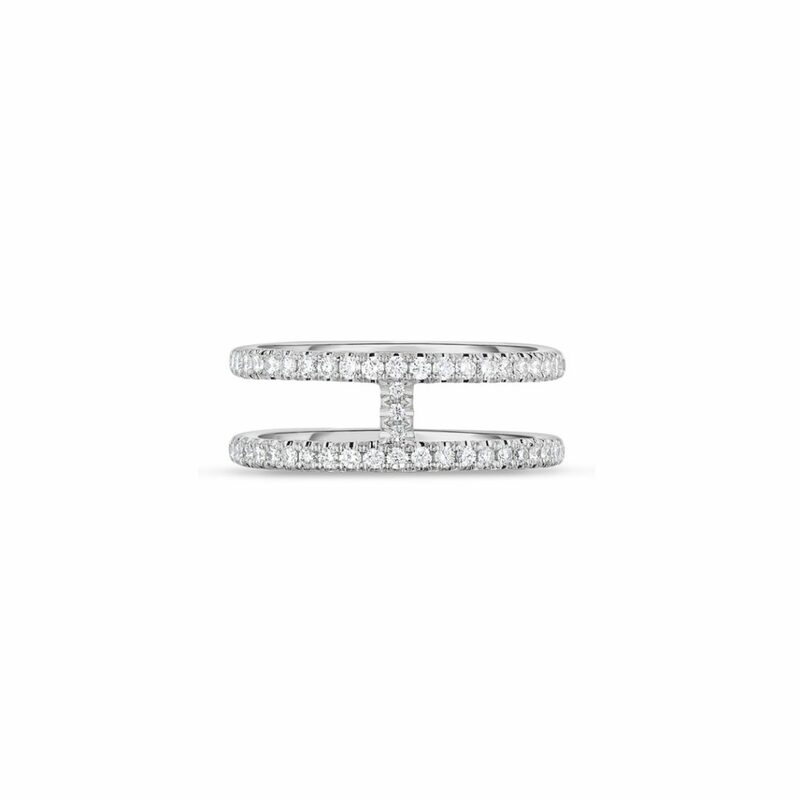 Set in 18k Yellow Gold this gorgeous Fashion Ring will encircle your fingers with sparkle. 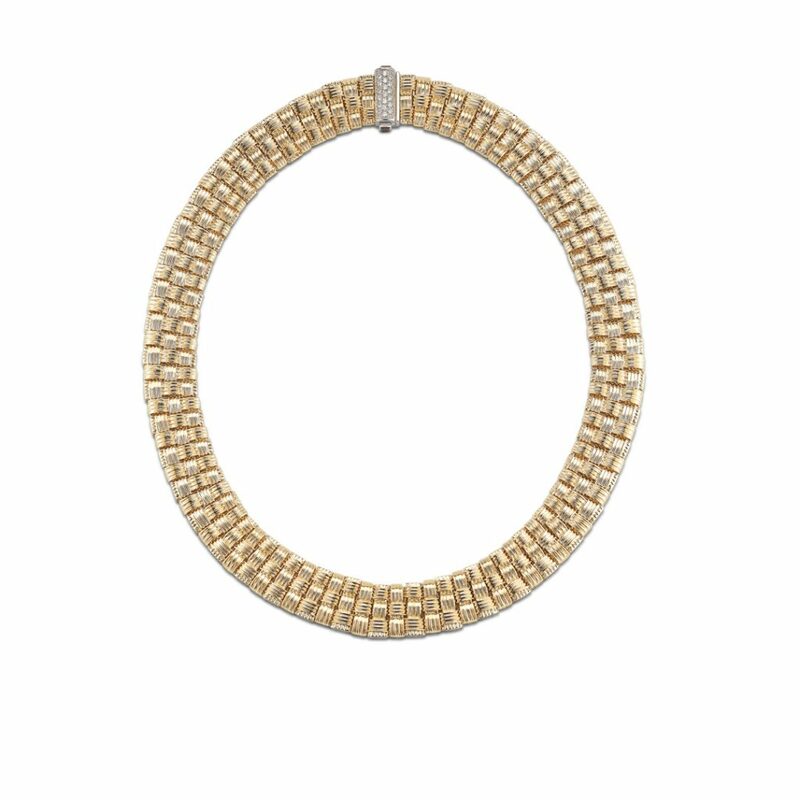 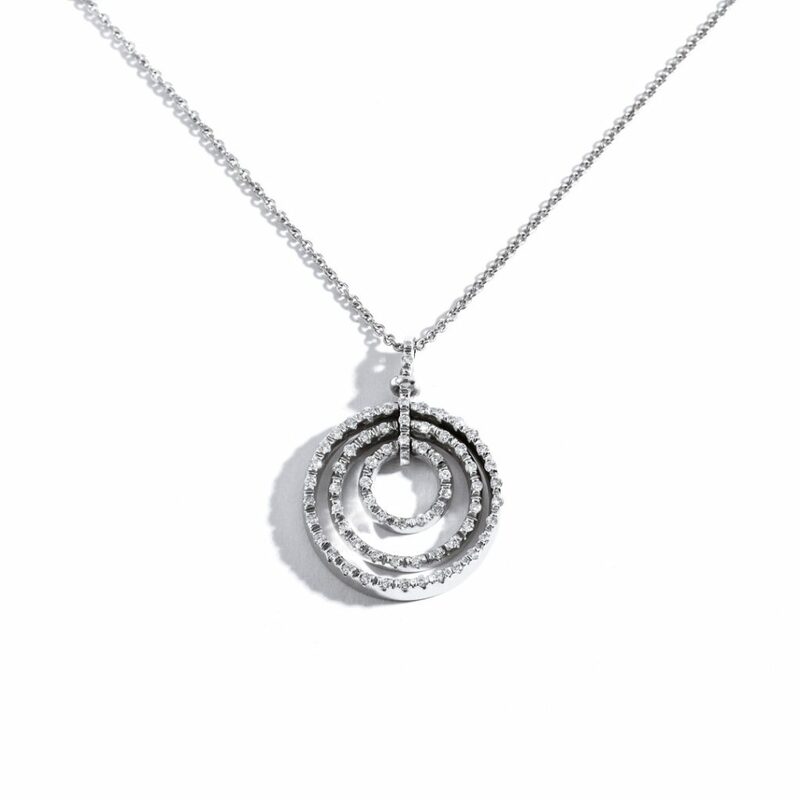 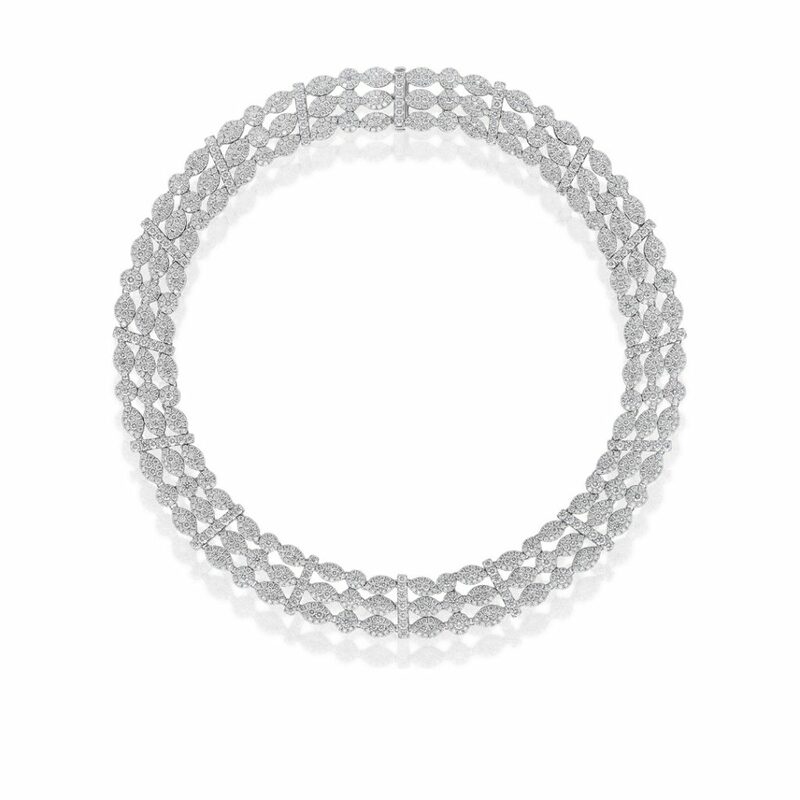 The 3 Circle Diamond Pendant from the Roberto Coin. 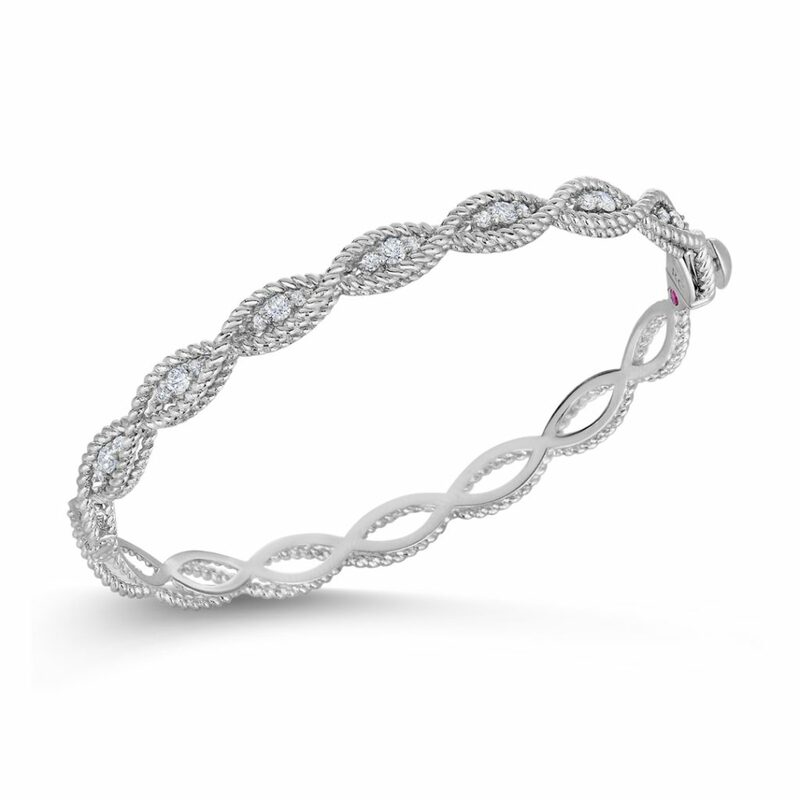 Set in 18k White Gold this dazzling Pendant will forever symbolize your style. 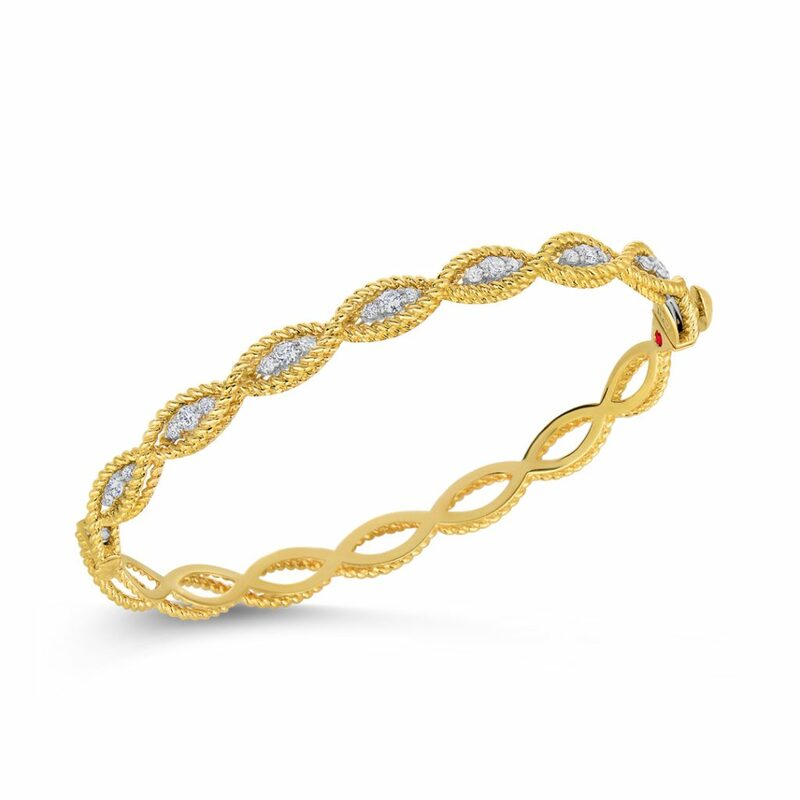 The 3 Row Bangle from the Roberto Coin New Barocco collection, style number 7771046AYBA0. 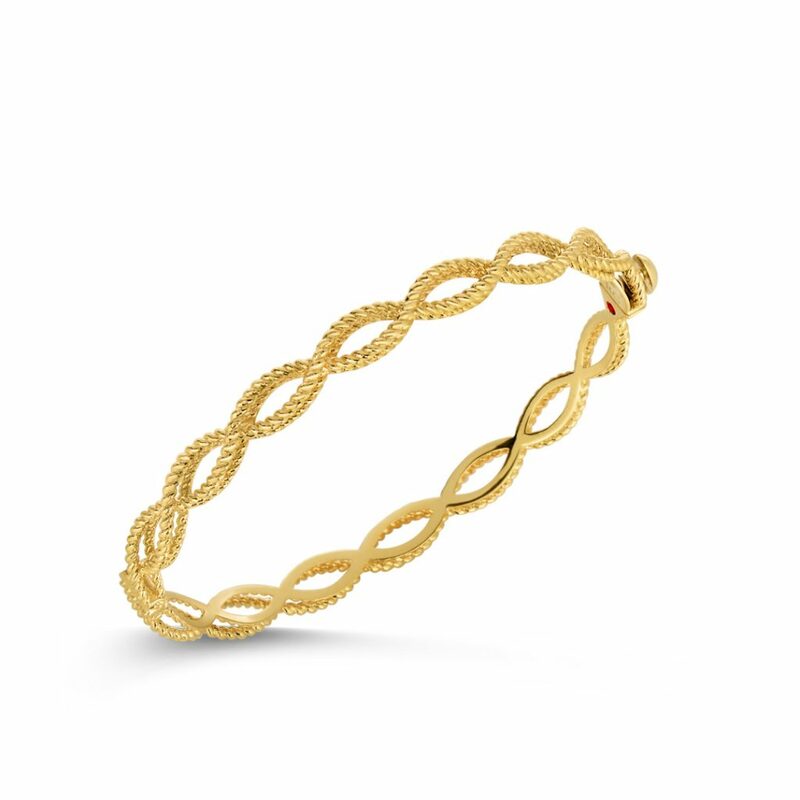 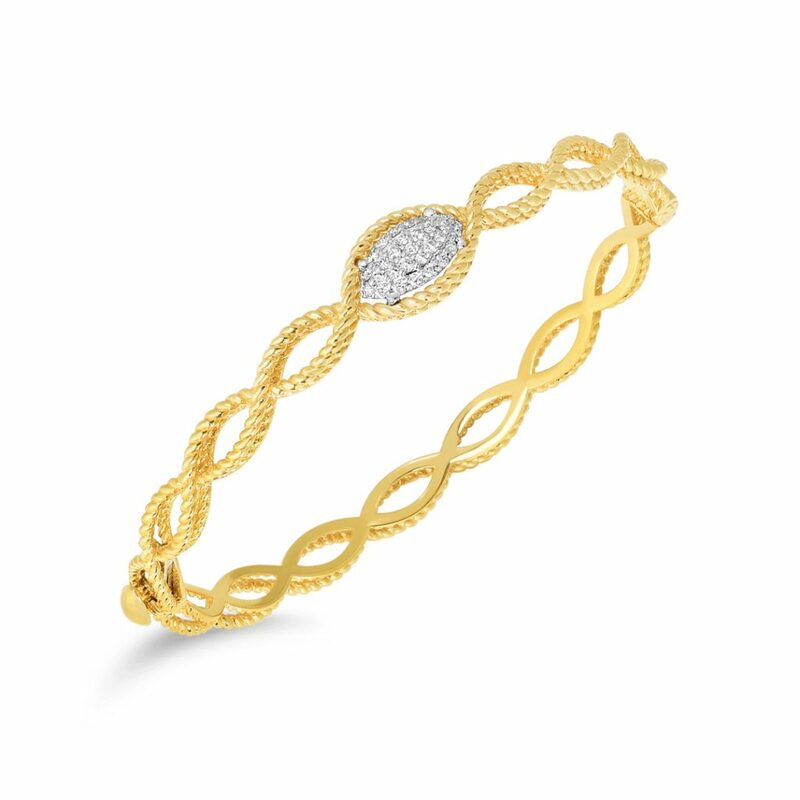 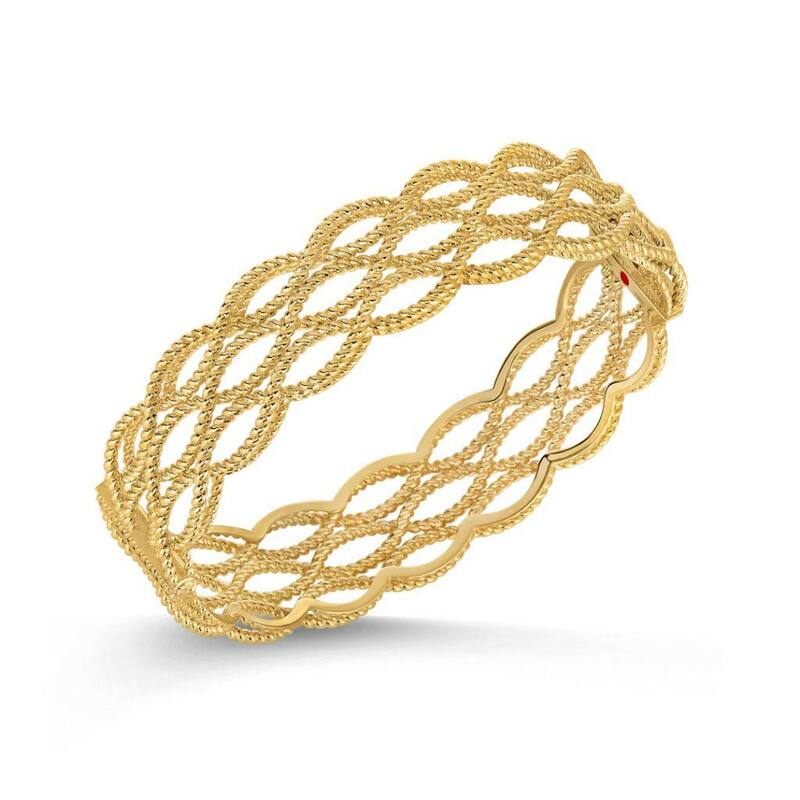 Set in 18k Yellow Gold this etheral Bangle will mark every motion with classic style. 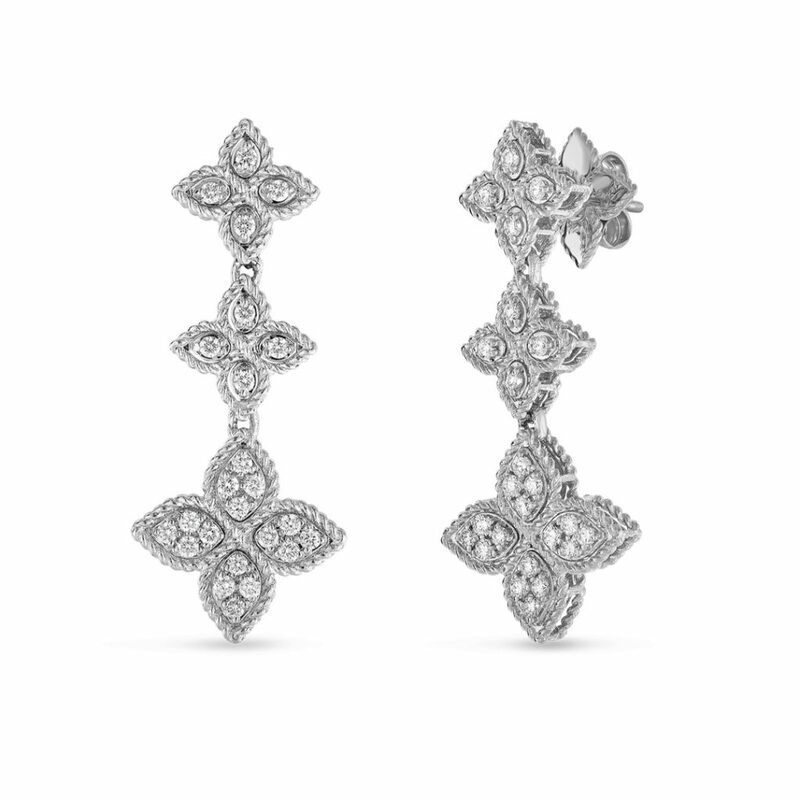 The 3 Row Earrings from the Roberto Coin Appassionata collection, style number 639016AYER00. 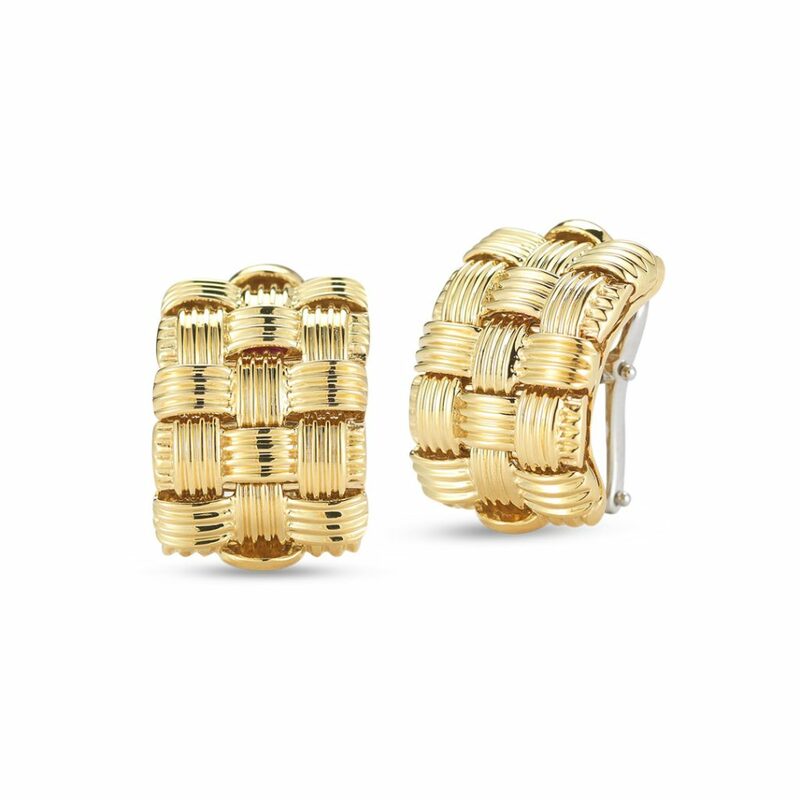 Set in 18k Yellow Gold these etheral Earrings will mark every motion with classic style. 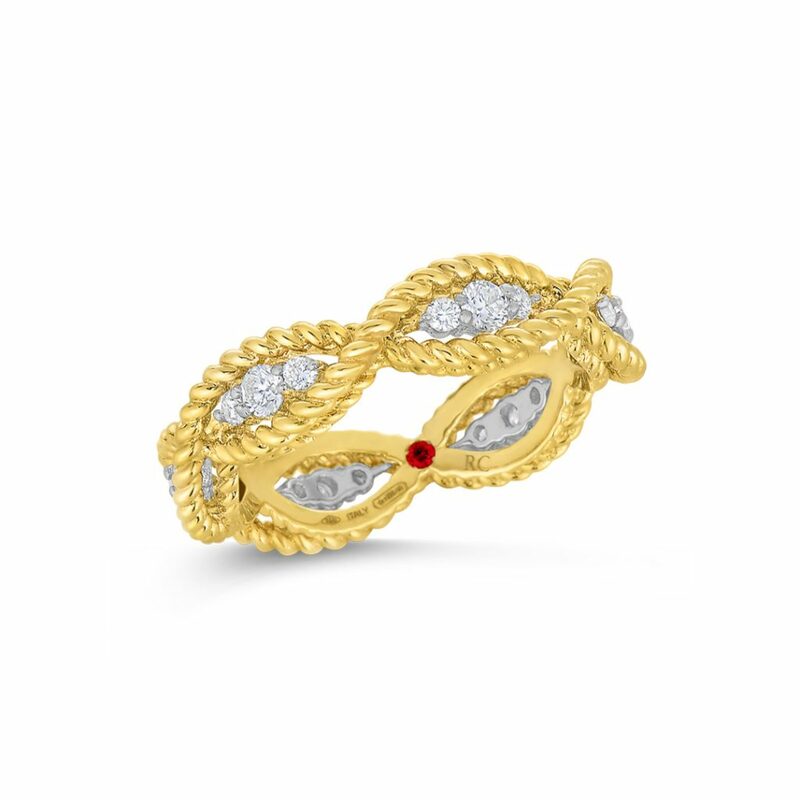 The 3 Row Ring from the Roberto Coin Appassionata collection, style number 639015AYLR00. 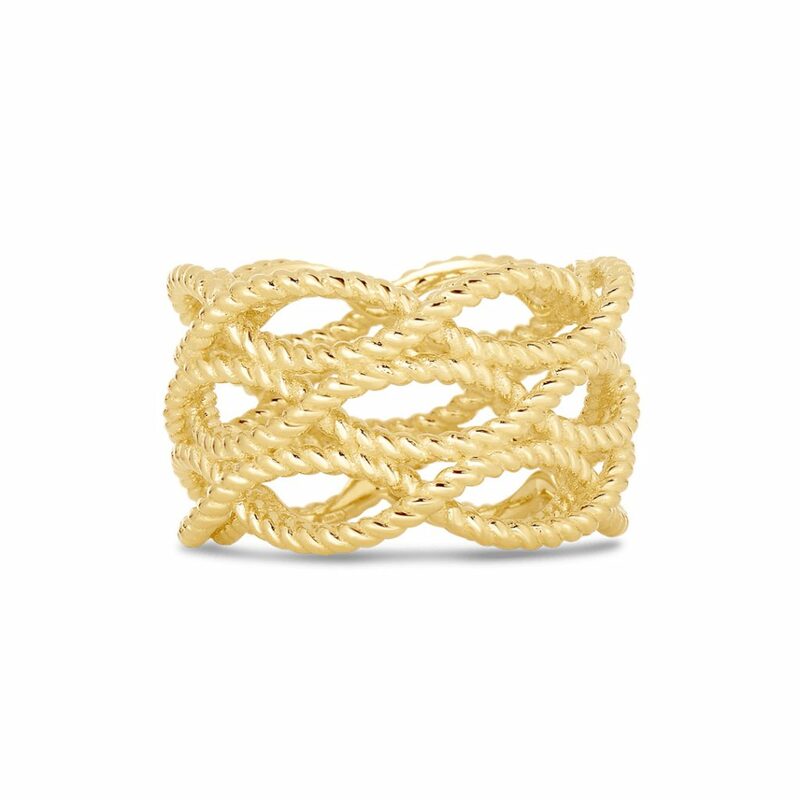 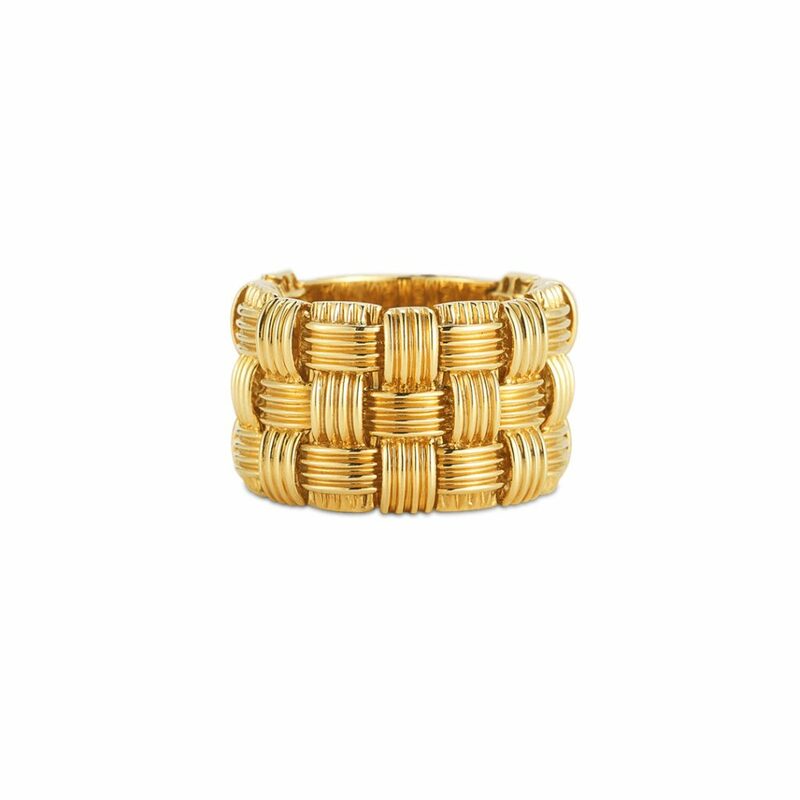 Set in 18k Yellow Gold this etheral Fashion Ring will delight your hand. 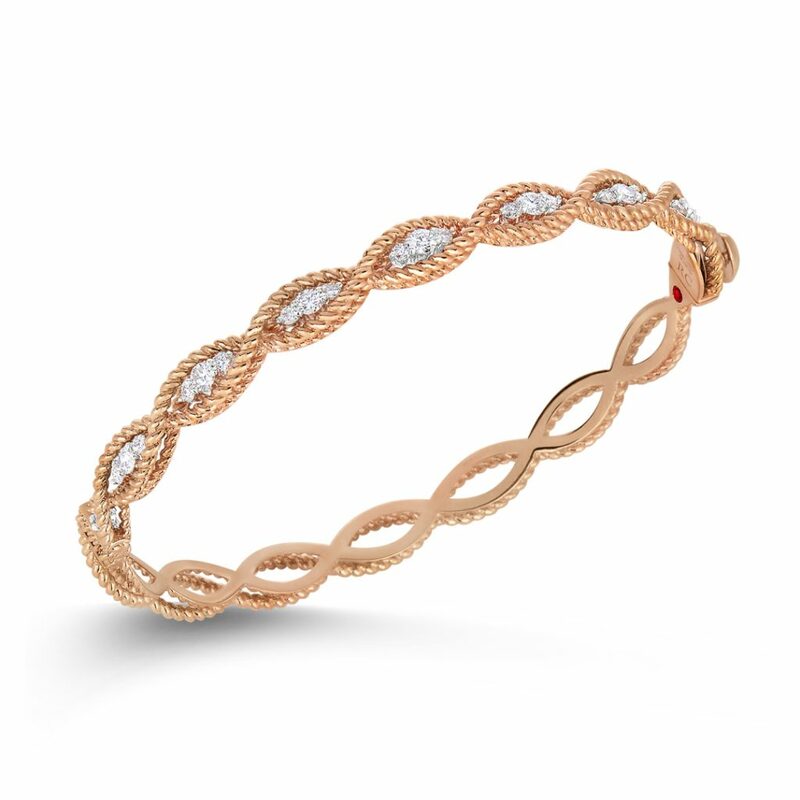 The 3 Row Ring from the Roberto Coin New Barocco collection, style number 7771046AY650. 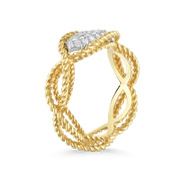 Set in 18k Yellow Gold this dazzling Fashion Ring will mark every motion with classic style.